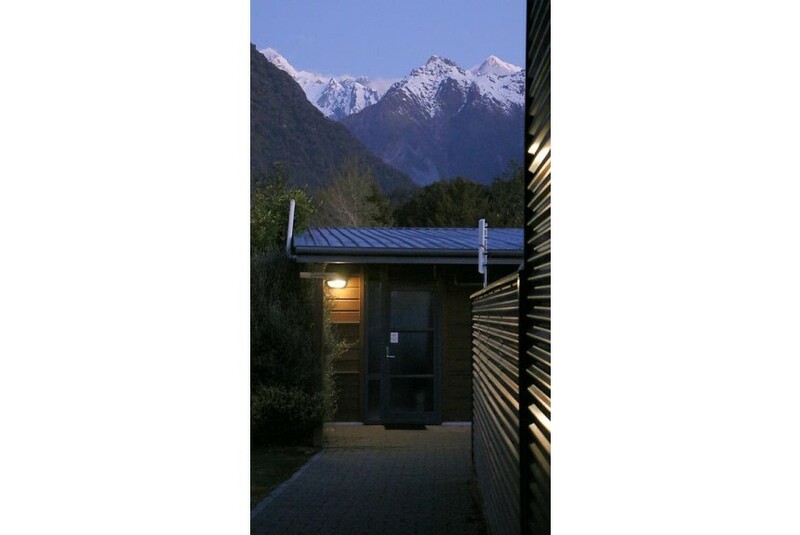 Offering stunning mountain views from all units, Sunset Motel is just a short stroll from the Fox Glacier village. Set in tranquil farmland, all units have full glass frontages to allow for unimpeded views of Mount Cook and the rugged Southern Alps. There are 25 spacious ground floor units. All feature a kitchenette, some offer a spa bath. Each unit offers an outdoor furniture setting on a courtyard patio which offers views of the Southern Alps and magnificent sunsets. Sunset Motel is less than 1 km to centre of the Fox Glacier village, which hosts award winning cafes, restaurants and bars. Continental breakfast is available on-site. The property can also book activities for guests such as Glacier flights, Glacier Heli-Hikes and more.